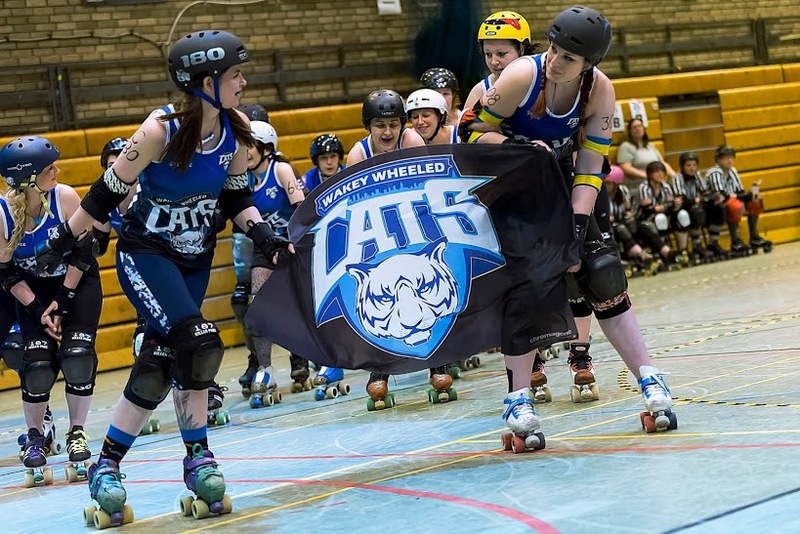 Wakey Wheeled Cats showed grit and determination in the face of their toughest opposition yet in their first game of the year on Saturday. 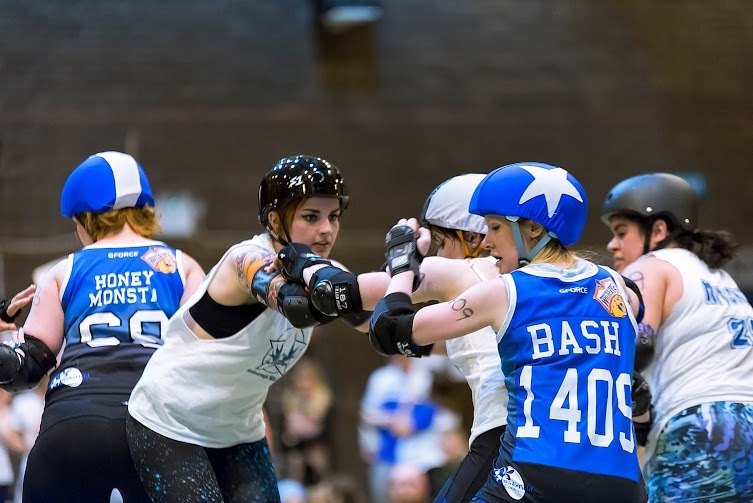 The Cats lost by their biggest ever points deferential in a physical match which saw them overwhelmed by Middlesbrough Milk Rollers’ (MMR) ‘b’ team, the Rising Rollers. MMR came out strong, scoring a massive 24 unmatched points in the first jam. Wakey’s Janine Hubbard got lead jammer on the second jam, scoring three points and calling it off before MMR were able to get through the pack. But the Cats struggled to gain momentum, and an early powerjam took MMR’s lead to 45 to 3 in the early minutes of the first half. Wakey’s jammers, used to using light footwork to take advantage of holes in the opposition walls, struggled against the brute force of MMR’s heavy blockers, who created impenetrable diamond-formation walls. The Cats’ blockers did their best to stand up to MMR’s jammers, but struggled to stay together and the Rising Rollers’ lead soon went into triple figures, with the score at 121 to 3 just seven minutes into the game. Debut Cats’ jammer Nikki Holt scored five points on her first jam for the Cats, with Hubbard also adding to the score sheet before half time was called at 210 to Wakey’s 11. The second half saw the Cat re-group and change tactics slightly, with more forceful offensive play and they were able to gain a clutch of points in the first minutes of the second period. However, it was not enough to stop the force that was MMR’s jammers, who in one jam alone added 34 points to their sheet. The crowd remained behind the home team, showing huge support when Wakey’s jammers were able to break through the pack. Vicki Gray scored a nine point power jam in the final minutes of the game, with the scores ending at 341 to 54. 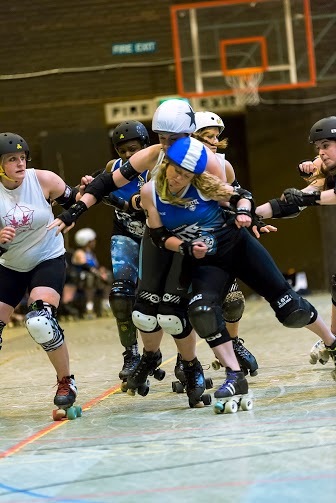 The Cats face Spa Town Roller Girls in Harrogate on May 16. The league’s first British Championships match up will see them play Mansfield Misfits at home on June 28.